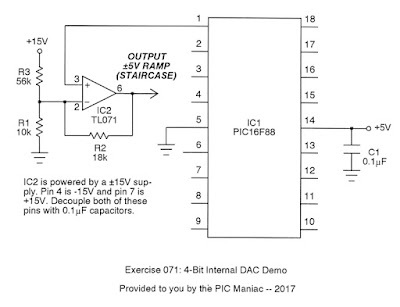 Many of the PIC microcontrollers, like the PIC16F88, give you access to an internal DAC. In this exercise, we'll see how to do so. 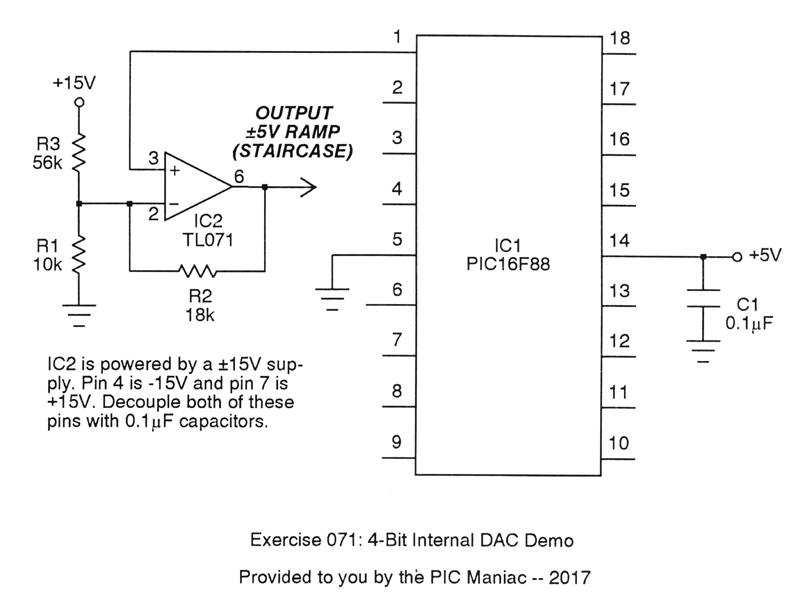 It's a 4-bit DAC, so has a 16-step resolution. 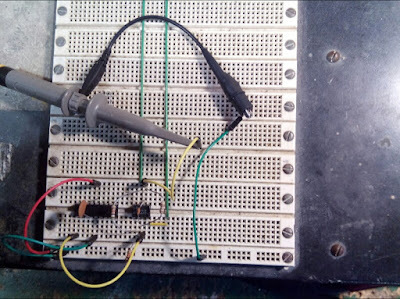 As you can see, the circuit is simple. 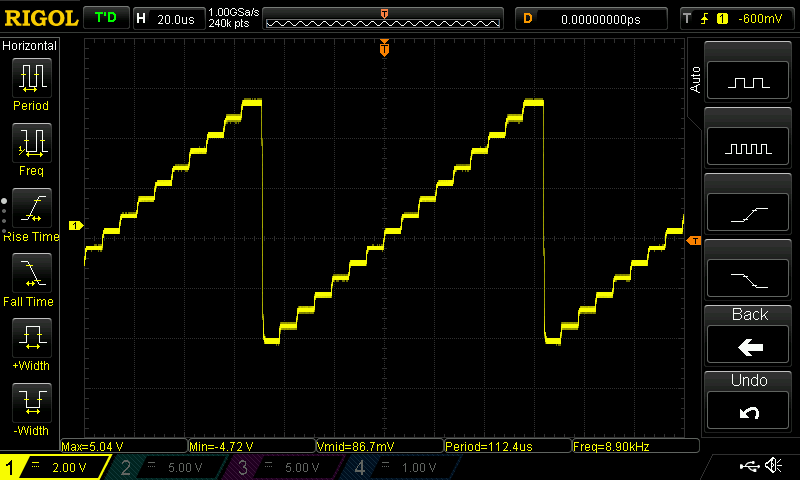 The internal DAC needs to be buffered, so I also took the opportunity to amplify and level-shift the waveform. 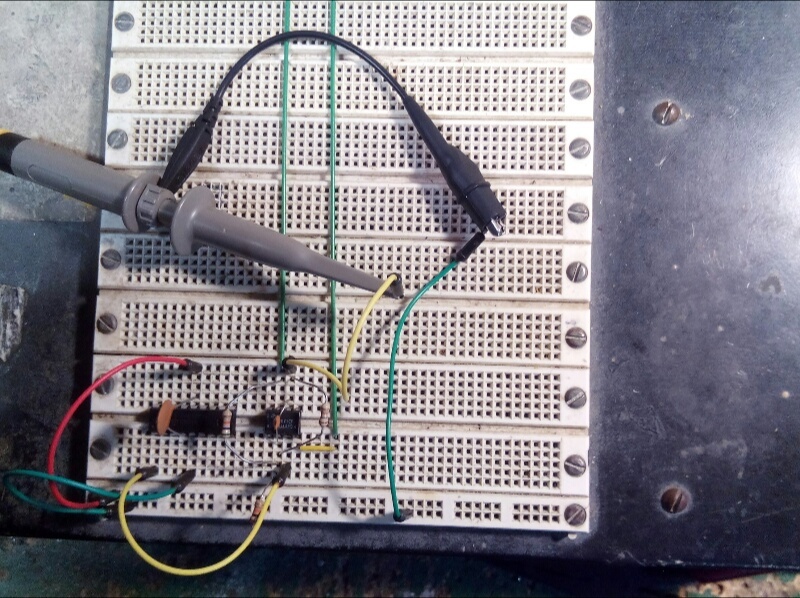 What comes out is a nominal 10Vpp (suitable for music synthesizer use). 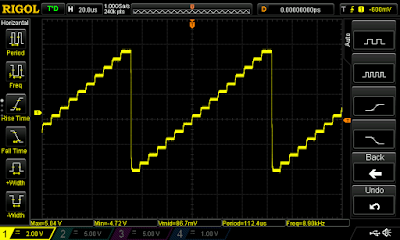 In the demo, the waveform runs near 9 kHz, but this can be slowed down with some appropriate delays in the code. Once again, I found a 10 pF feedback cap useful for truncating the undershoot occurring on reset.